A portrait of Henry VIII on oak panel c. 1535 has recently undergone technical examination to inform questions regarding authorship and the painting’s relationship to a group of similar works in the collections of the National Portrait Gallery, London, and the Society of Antiquaries. Due to previous conservation treatments of the painting, the conventional transmission X-radiograph image was difficult to interpret. As a result, the painting underwent high-definition X-ray fluorescence (XRF) elemental mapping on the X-ray fluorescence microscopy beamline of the Australian Synchrotron. Scans were conducted at 12.6 and 18.5 keV, below and above the lead (Pb) L edges, respectively. Typical scan parameters were 120 μm pixel size at 7 ms dwell time, with the largest scan covering an area 545 × 287 mm2 collected in 23 h (10.8 MP). XRF mapping of the panel has guided the conservation treatment of the painting and the revelation of previously obscured features. It has also provided insight into the process of making of the painting. The informative and detailed elemental maps, alongside ultra-high-definition scans of the painting undertaken before and after varnish and over-paint removal, have assisted in comparison of the finely painted details with the London paintings. The resolution offered by the combination of imaging techniques identifies pigment distribution at an extremely fine scale, enabling a new understanding of the artist’s paint application. The conservation and technical examination of Portrait of Henry VIII was funded through the generous contributions of Len Groat, Ken Reed, Hamish Parker, Friends of Conservation and a gift in memory of the late Dorothy R. Spry. 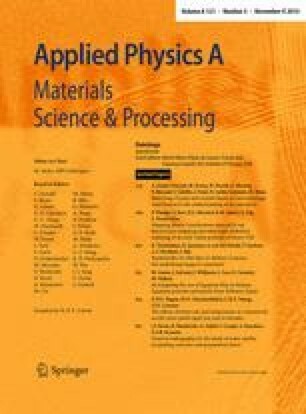 Part of this research was carried out on the X-ray fluorescence microscopy beamline at the Australian Synchrotron, Clayton, Victoria, Australia. Access to the Australian Synchrotron was supported under the NSW Industry Synchrotron Access Scheme, funded by the NSW State Government Office of Science and Research. In addition, the authors are grateful to Gillian Osmond, Queensland Art Gallery, and Malgorzata Sawicki, Art Gallery of New South Wales for their comments.